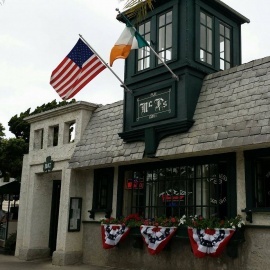 As the only Irish pub on the island, McP's is proud to be a supporter of the US Navy Seals. 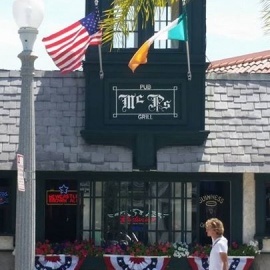 It is one of the largest retailers of Guinness stout beer in California. McP's is open for lunch, dinner, late night entertainment, and not to mention, breakfast is served every Sunday from 9am-11am. Live entertainment is available nightly with musical stylings ranging from jazz to blues and traditional Irish folk music. Happy hour happens during the weekdays between 4pm-6pm and includes 1/2 off select appetizers, 1/2 off all house wines, and a $1 off beer and cocktails. Outdoor, indoor and bar seating is available. A children's menu helps with feeding the kiddies and true Irish food like McP's "Ruben" can be purchased to take customers back across the Atlantic in spirit. So come in, grab a cold pint and soak in the luck of the island. McP's offers a Late Night menu seven nights a week from 9PM until 11PM. Join us for an appetizer or sandwich to go along with your favorite cold beer or cocktail.